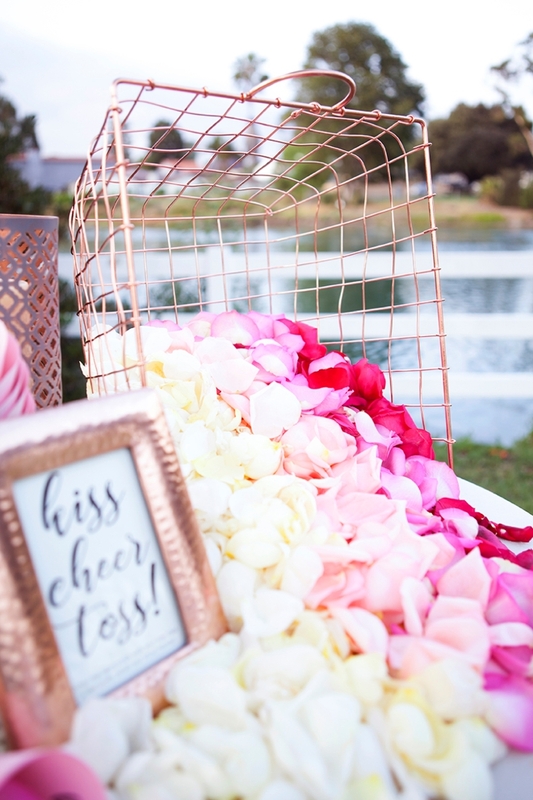 You've Got To See This Darling DIY Petal Toss Bar! 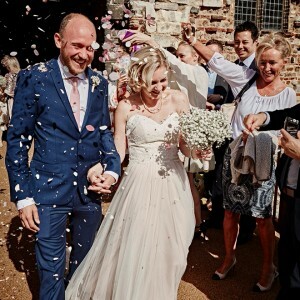 Tossing petals onto newlyweds as they make their way back down the aisle has to be one of the sweetest trends. It’s a totally fun experience for them, especially because it’s soft petals and not something hard like bird seed and it makes for the most fabulous pictures! 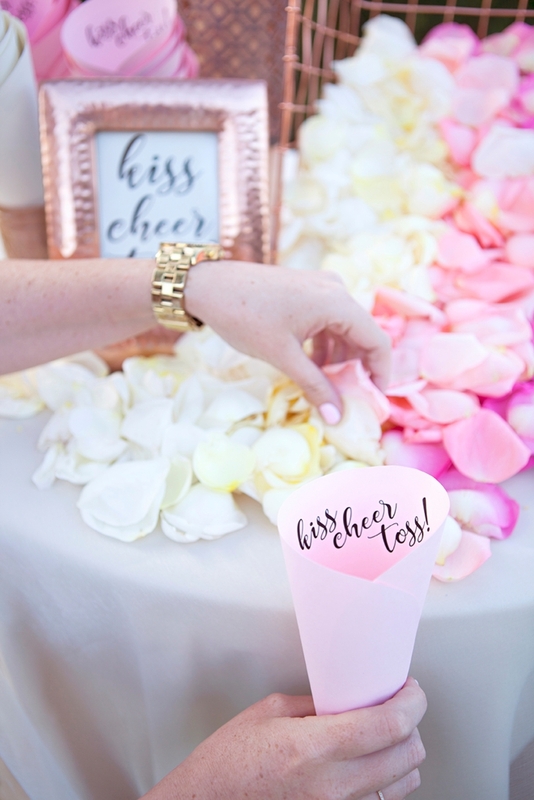 Of course I had to bring the DIY into this trend and so today I’m sharing a fabulous idea for a DIY Petal Toss Bar! 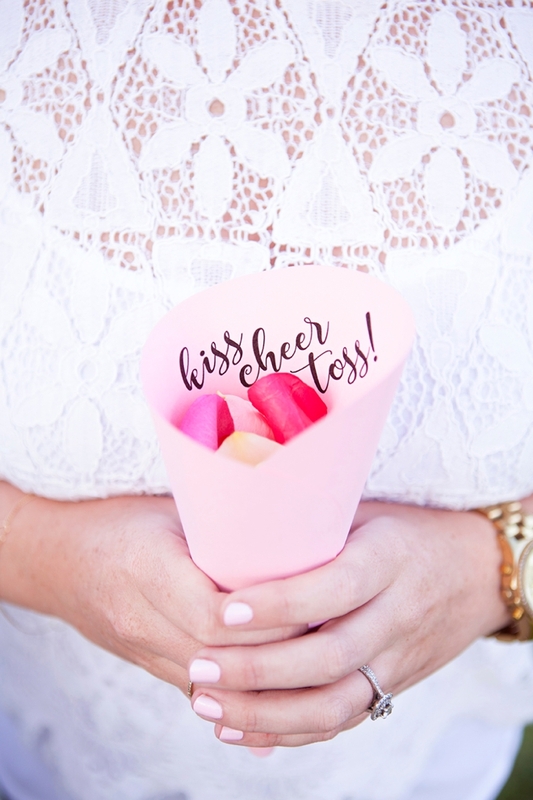 Let your guests grab a cone and pick out their own petals to give them a little creative activity as they take their seats and wait for your celebration to begin. 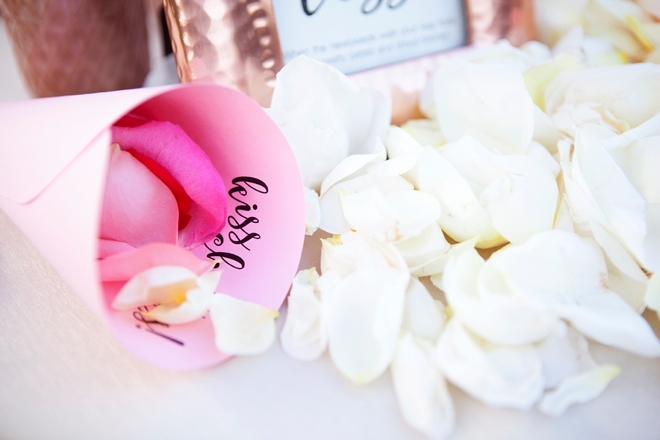 I can just hear your guests now… where did you get those petals? …over there… did you get your petals yet? no? then go get them! …omg, this is so cute! …I’m only taking pink ones …I got all the colors …Dad, you have to get some too, you can’t have mine. I partnered with Fifty Flowers to make this project happen and I’m very glad I did, you can read more about my shopping experience with them below. 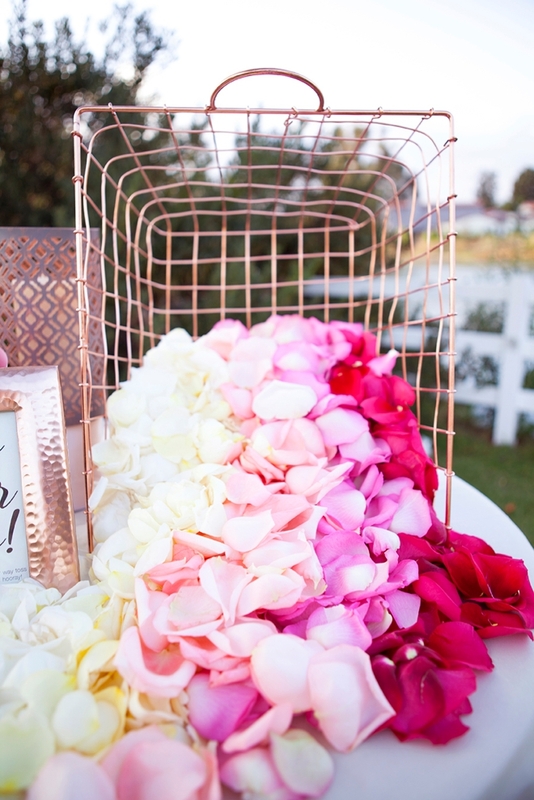 Use any type of petals or combination of flower bits along with decor elements that match your wedding to create a unique vignette like this at your ceremony! I had a truly wonderful experience with Fifty Flowers. Yes they are sponsoring this post, but this is my 100% honest account of working with them on this project. First off, I ordered my petals and within a few hours one of their flower specialists called me to learn about my event, what I wanted to do with the flowers and help me set a date for delivery. She was so kind and helpful and I could tell that she was truly excited for this project. She educated me on how long the petals would last, how they needed to be stored and answered any questions I had about the process. She also double checked my order to confirm that I indeed had enough petals for the toss bar. We did run into a tiny snag in that a few of the colors of petals that I originally ordered weren’t going to be available (since it was the weekend after Mother’s Day) but she quickly solved the problem; she ordered me whole roses in the same colors and sent me a super simple video on how to de-petal a rose. Which actually took no time at all. I felt like she went above and beyond to make sure that I was fully taken care of. I called her twice, once with an order question and once to get back to her about the order and both times she personally answered the phone and was fully on top of my order. I almost couldn’t believe it. I haven’t experienced this type of thorough online/phone customer service, ever. Since my experience was so fabulous, I will always order my wholesale flowers from them, without a doubt! 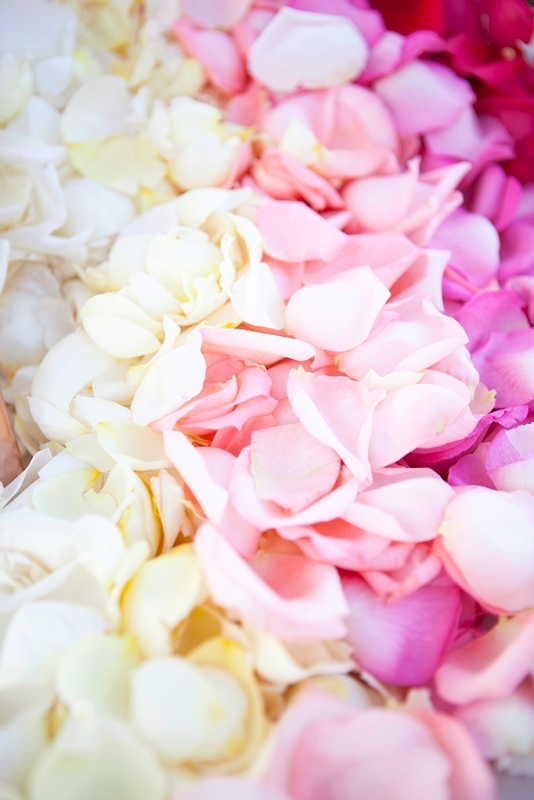 Pretty rose petals from FiftyFlowers.com, in your choice of colors! I always try and make sure that the items and products I use here on the blog are available online, but in this case a few are not. It ended up that neither my copper basket or copper hurricane, both from Michaels are not on their site. Same thing with my copper frame from Aaron Brothers, not on their site either. 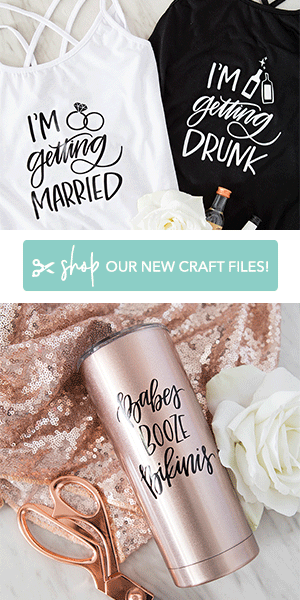 So I found similar items and added the links at the end of the post. 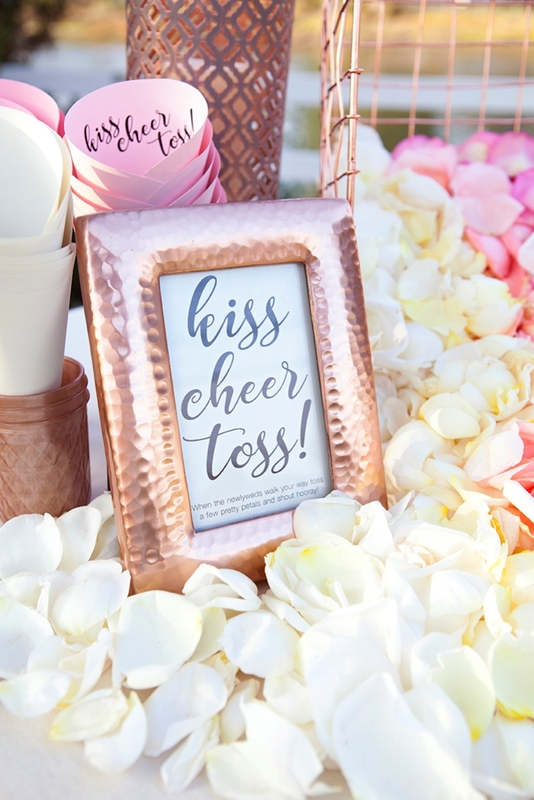 I’m sure you have your own wedding style that will guide you in your search for the perfect decor items – so just remember that any basket, frames and decor elements will work perfectly for your petal toss bar! 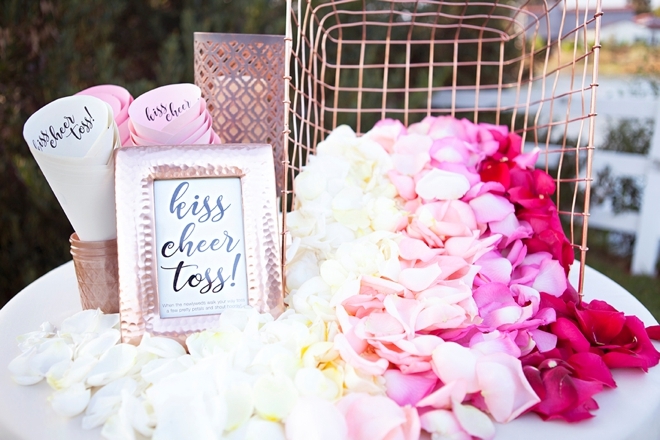 Download our kiss, cheer, toss sign at the end of the post, print it onto 8.5×11 cardstock, trim and frame. It’s sized to fit any 5×7 frame. I used 8oz jelly jars to hold the toss cones, but they looked boring clear – so I painted the inside! 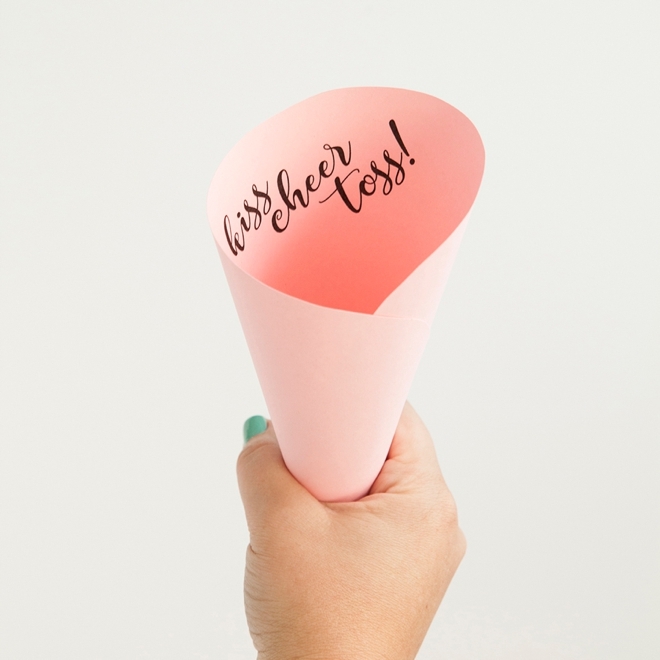 Download my toss cone design at the end of the post and print it onto 8.5×11 colored paper. Regular old printer paper or any paper that’s thin will be best for the cones. The heavier the cardstock the harder to wrap them into the cone shape. 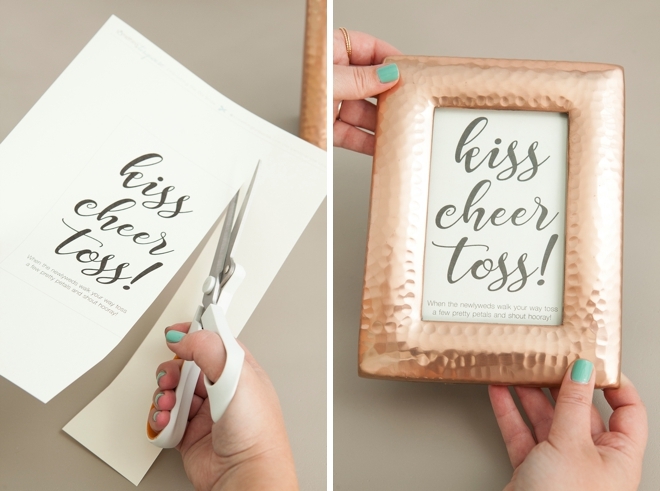 Trim along the line, one per page and you’ll need one per guest. Start on the right side of the paper and roll to wrap into the cone shape. 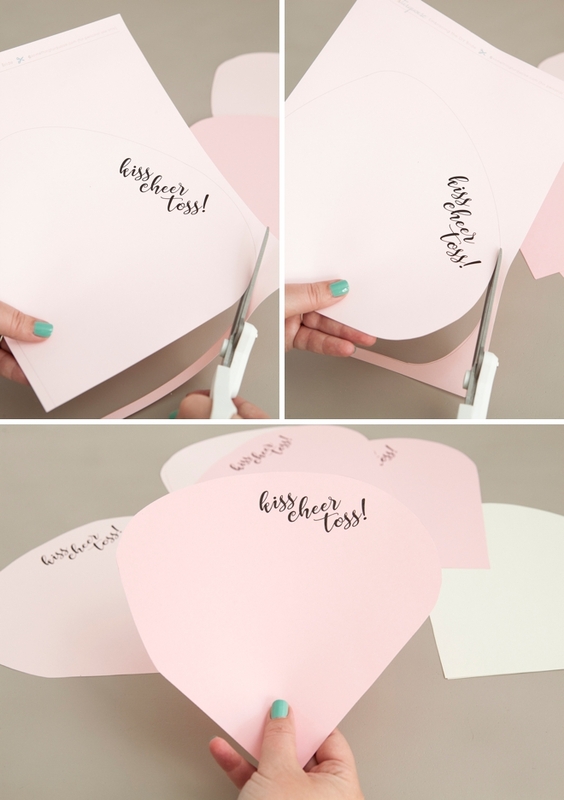 Pull and push the sides of the paper until you are happy with the size of the cone. 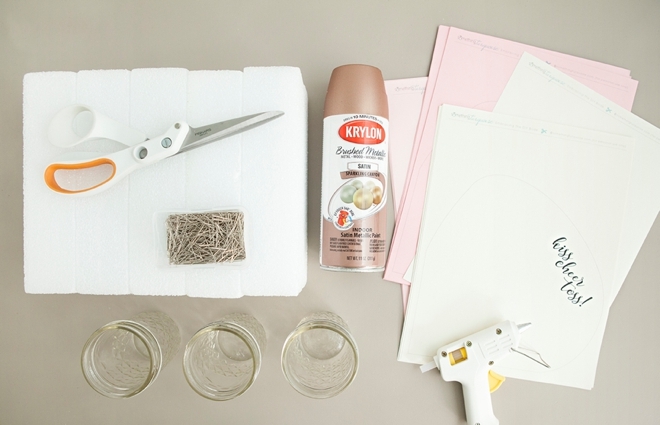 Add a line of hot glue along the edge to secure. I found it easiest to do this while my hand was in the cone, pressing the paper into the glue as I held the cone together. That last picture looks kind of funny, but I’m pressing the cone into the glue from the inside, lol. I hope that makes sense. 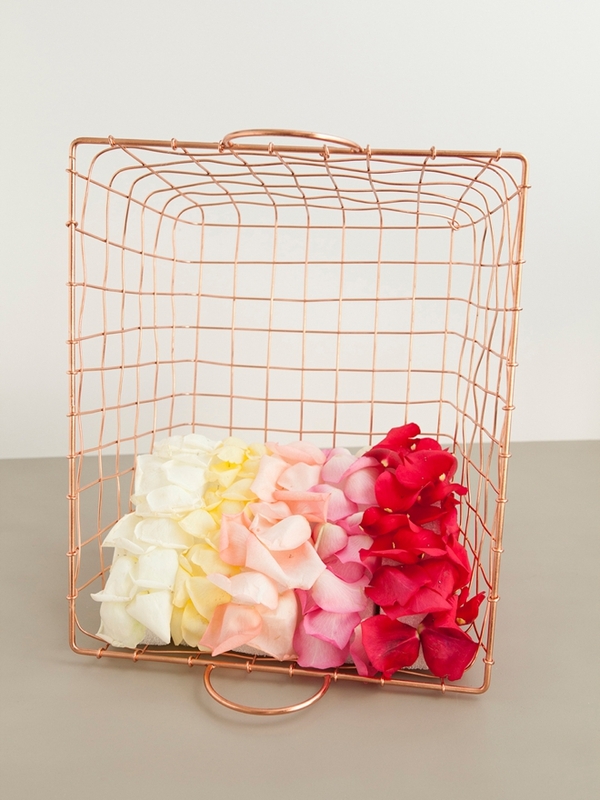 I wanted the petals to look like they were “pouring” out of the basket, at the same time I knew the petals would only stack on themselves so high until they actually did pour/fall out of the basket. So I decided to add styrofoam inside the basket to add more “height” and the illusion of more petals than there actually are. This step is totally optional. 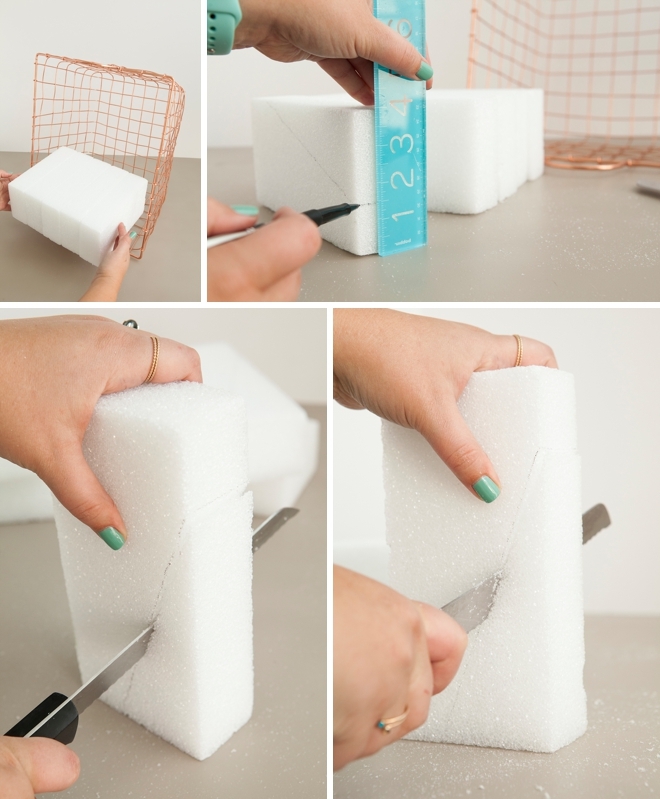 Find some styrofoam pieces that will fit your basket and trim them down to make a slopping angle. I measured and then cut each of mine with a knife. This step is also optional. 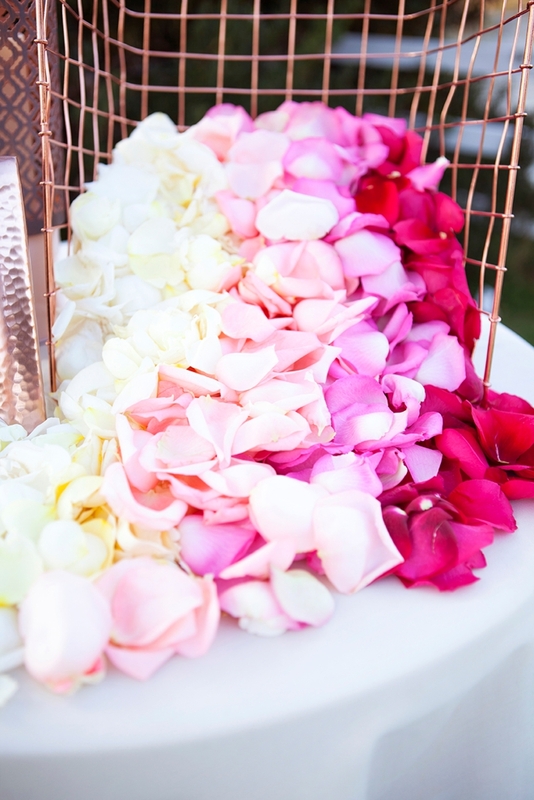 But what happens if you guests take all the petals and then you can see the styrofoam! Such a problem, LOL. Ok, I pinned petals in the ombre to the styrofoam to cover it. This way if the petals are gone your guests won’t be staring at styrofoam. 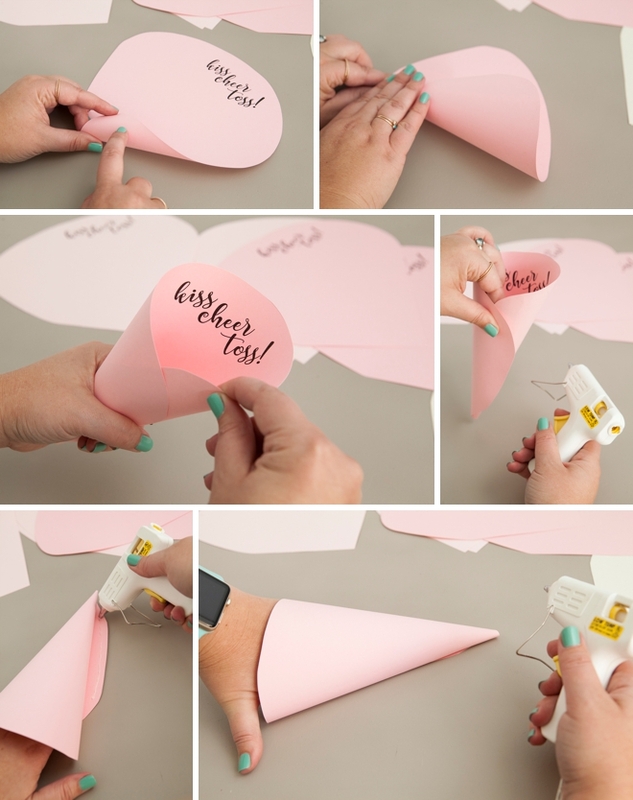 Since your petals will all be individually packaged in bags, your cones will be folded and your print will be framed – all you have to do is assemble the bar and un-package the petals. 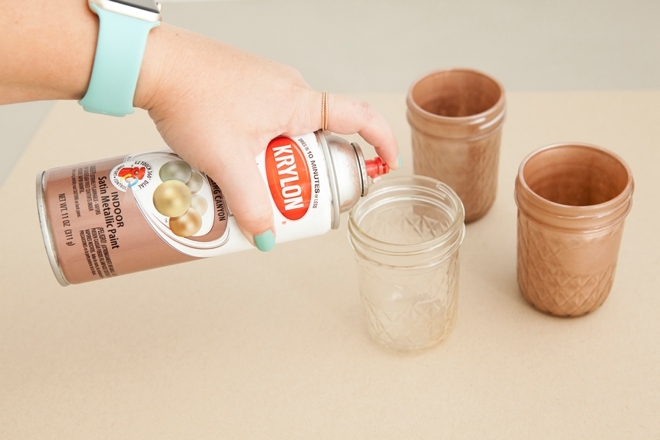 Stack the cones in the jelly jars, add a candle or other decor elements, add the frame and make the petals look as if they are pouring out of your basket! 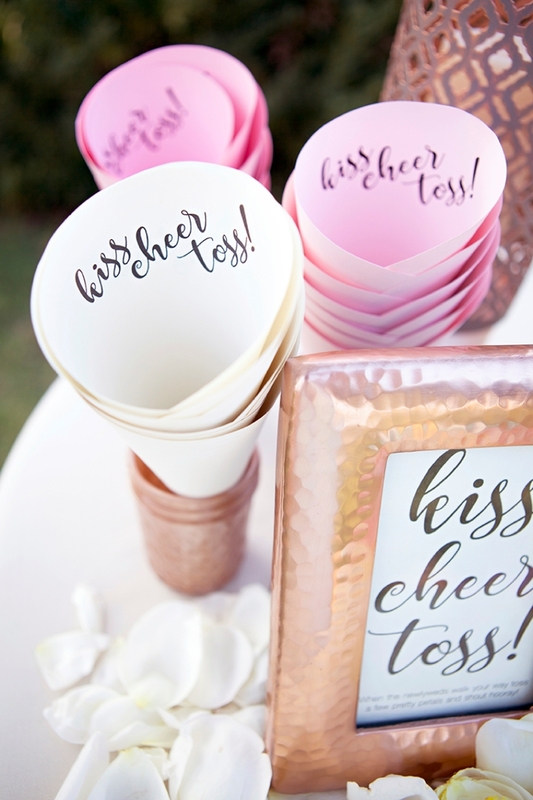 You might want to have your wedding planner delegate someone to watch the petals and make sure there are enough as your guests are filling their cones and making their way to their seats. Or ask a family friend, who isn’t in the wedding to help with this! Anywhere from 10-30 petals will fit inside these cones. 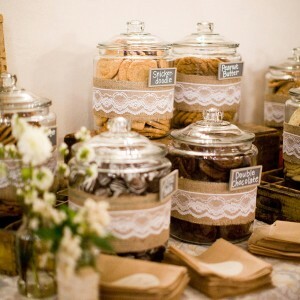 Your guests will either just grab a few or will stuff the cones full. I ordered 3,000 petals for $100 and so if you’re having 100 guests, that makes it about 30 petals each. Which is perfect. ps. that’s my new assistant Shea holding the cone! 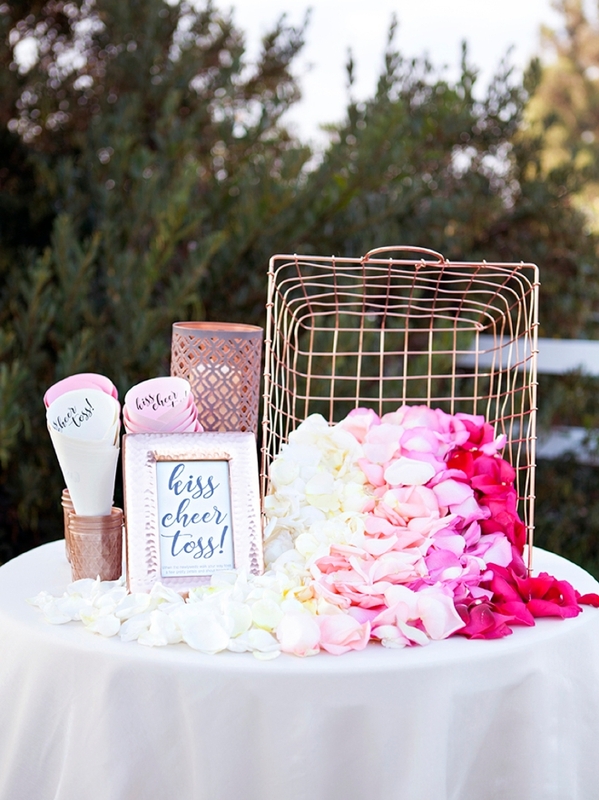 SO excited to have added her to the ST team… just wait until we share her amazing DIY wedding in a few weeks! 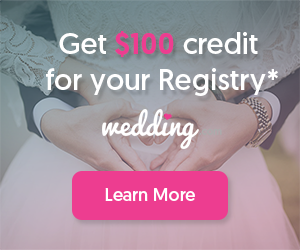 Fifty Flowers promise is to provide beautiful and fresh flowers supported by expert customer service to help you create the wedding of your dreams. With over 12 years experience, they are the experts in farm direct wholesale flowers. Once you place an order, you will receive a confirmation email and a follow up phone call confirming your order as well as your delivery dates to ensure ideal blooming. 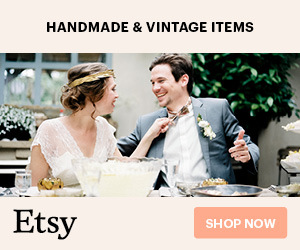 You can trust them with all your DIY wedding needs!